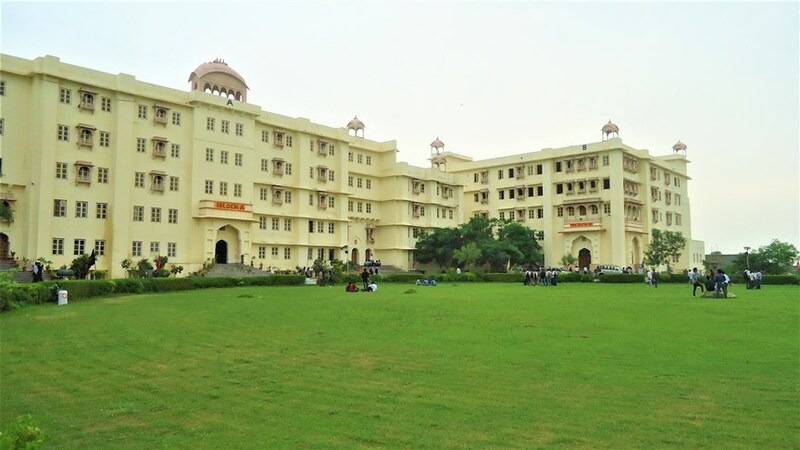 Dr K N Modi University, a State Government ordained, UGC approved Private University, situated on a sprawling 45 acres campus with sylvan surroundings is situated at Newai in the Tonk district of Rajasthan. It is being managed by Dr K N Modi Foundation, whose Founder Dr Kedar Nath Modi was a doyen in contributing to the cause of the Society and a pioneer in establishing educational institutions to offer quality and value based education – primary to higher levels of professional education – in the background of his committed belief, “Education Builds Nation” , to the members of the learners community belonging to diverse economic and economic strata’s of the society. The Foundation, now in the throes of its Platinum Jubilee Celebrations, is being administered by the illustrious son of its Founder, Dr D K Modi, who is educated both in India and Switzerland. The University, in the background of its philosophy, “Education for the Development of The society”, has embarked on a missionary zeal to realize its goals and objectives, since its inception during the academic year 2010–11.The University is unflinching in its efforts while pursuing a path of quality growth with quantitative developmental and enterprising activities. It offers professional natured academic programs related to Agriculture, Arts, Commerce, Diverse Disciplines of Engineering, forestry, Law, Management, Pharmacy and Science streams at Diploma (limited to Engineering and Pharmacy Studies at Present), Undergraduate, Post Graduate and Doctoral levels to scores of students belonging not only diverse strata of the society but also diverse regions of the State and States of our Nation besides those from Afghanistan and Nepal , in the main now, and those from African and East Asian Countries in the near future.